Avoska and the Vera Mukhina’s legendary glass tumbler are well known abroad, but they are far from the only items that Soviet industry produced. 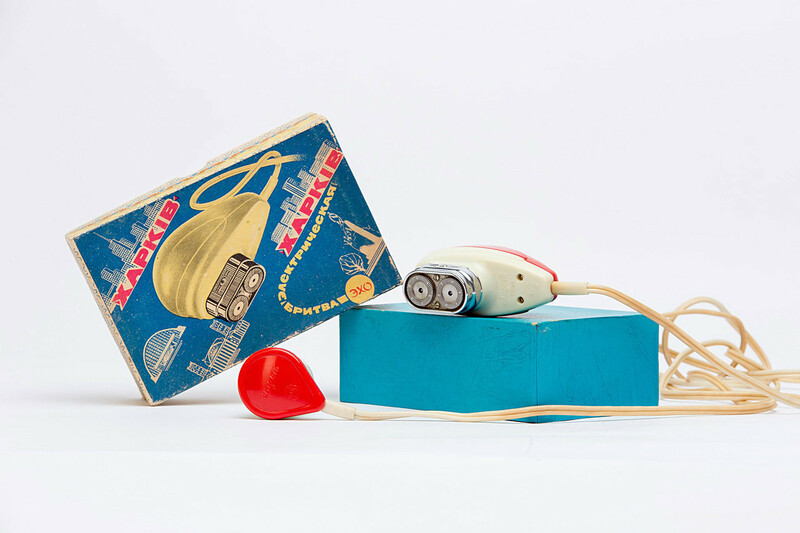 Here are 10 common consumer goods that postwar Soviet citizens grew up with and cherished. After the Second World War, the Soviet economy was geared toward increased consumer production, and a new profession appeared – ‘artist-constructor,’ which today we call a designer. Such people were tasked with finding ways to quickly and cost-effectively manufacture goods for the mass market. Here are some of the most prominent fruits of their labor. First produced in 1955 by the Tula Mechanical Engineering Plant, this pioneering Soviet sewing machine had an electric motor. Prototypes were made in Leningrad, and the design of pins and overlocks was based on sewing machines taken from Germany after the war. 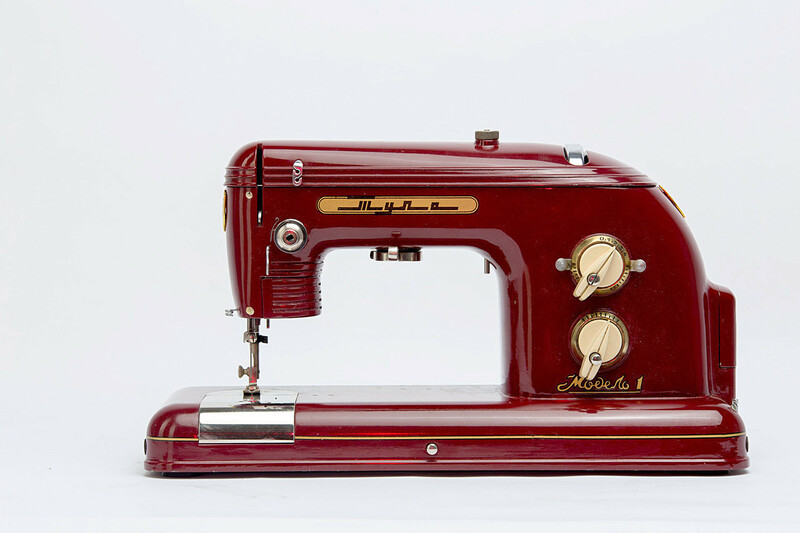 Although the Tula sewing machine was rather popular and widely advertised, most Soviet citizens still preferred the trusted Singer sewing machine made by the famous American company at its factory in Podolsk before the Revolution. In the 1960s the Soviet market saw the first vacuum cleaners with a spherical form, a remarkable example of Soviet space-age design. First, there was the limited edition of the ‘Sputnik’ cleaner, and then mass-production of the ‘Saturn’ model began. With an ideal spherical form and plastic ring around the body, it looked like the planet Saturn. The cleaner’s design was based on the American-made Hoover Constellation released in 1955. In the 2000s acquiring a Zenit camera was a badge of honor for every serious Russian hipster. 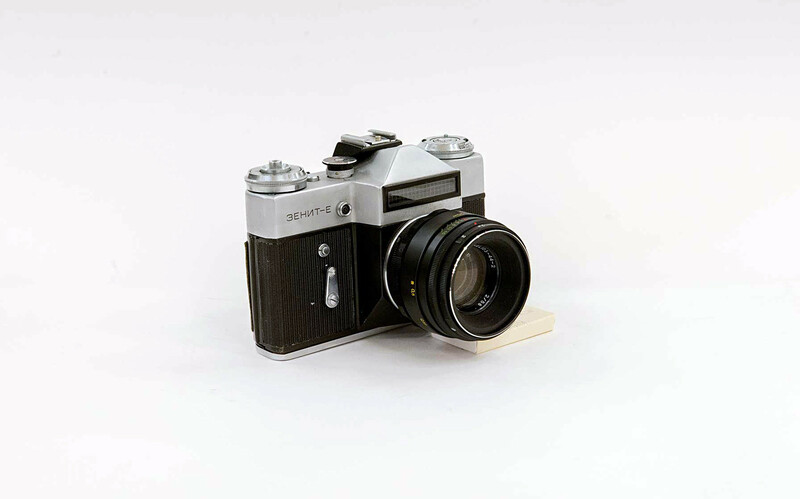 The Zenit-E, which was made for export to international markets, was the most popular Soviet-era photo camera. In the 1960s and 1970s more than 8 million were produced, which was a world record for such cameras. The one in the photo has a Helios-44-2 lens. If you’ve ever watched the ultra-popular Soviet movie, Irony of Fate, you might remember when the main character, Nadia, gifts her boyfriend a razor for New Year’s, (“the latest model,” she says). This isn’t the same exact one, but such a device was a luxury because most men at this time still shaved the old fashioned way - with brush and razor. This particular item was produced in 1966 at the Kharkov Electrical Equipment Factory. 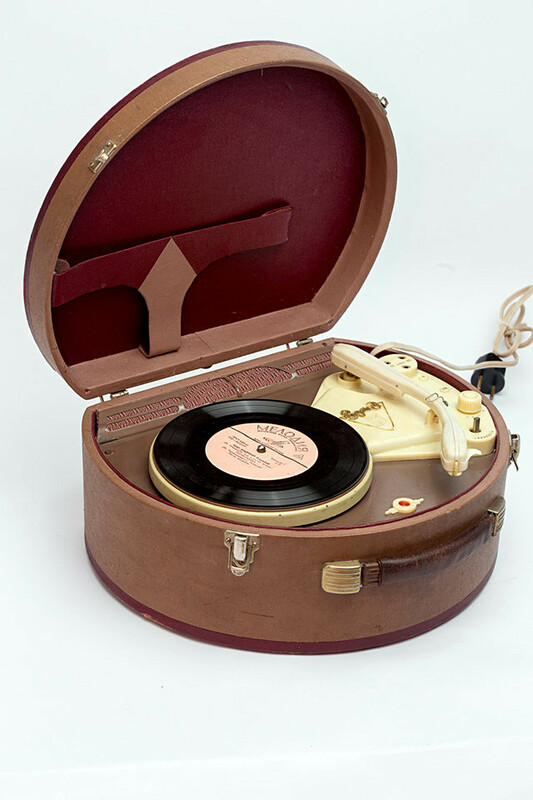 In 1957, the Saratov Precision Electro-mechanical Factory astounded society with a technical miracle in the form of a portable gramophone, made in such a way that it resembled a suitcase. It was mass-produced in the 1950s and 1960s. By the way, the vinyl record was produced by Melodiya, the USSR’s leading state-owned record label. 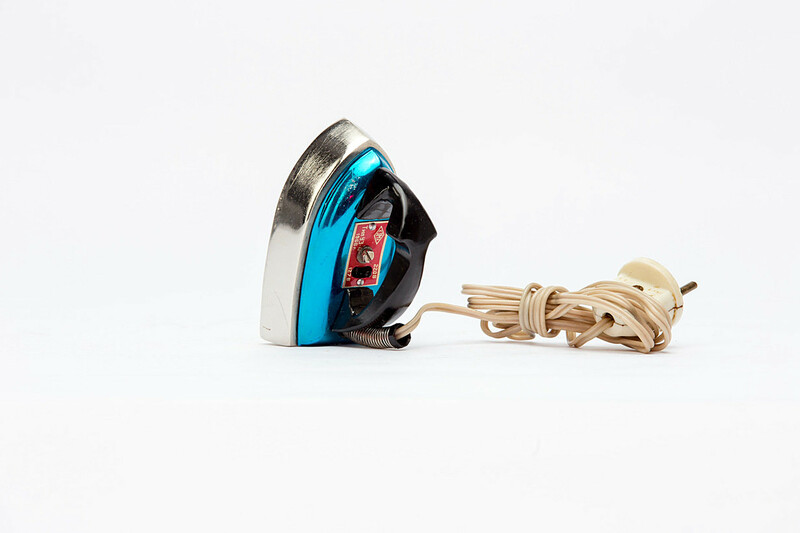 This compact iron weighing about 760 grams (1.67 pounds) was much smaller and lighter than an everyday house iron, and used mostly on business trips and other travel. Production began in 1967 at the Kharkov Electromechanical Factory. By the way, the Golden Ring city of Pereslavl-Zalessky has a nice museum of irons from ancient times through the 20th century (click on this link for more tips when traveling to Pereslavl). 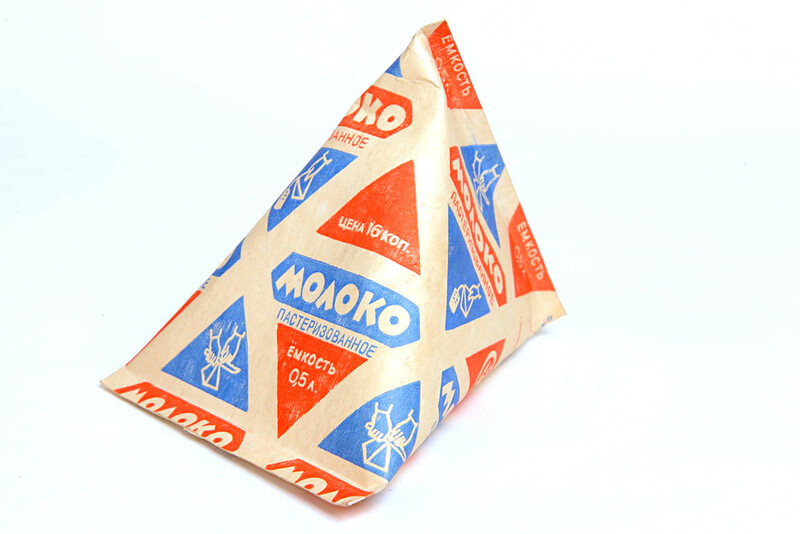 In 1959, the Soviet Union bought the technology of producing tetrahedron-shaped milk cartons from Swedish company Tetra Pak. This technology was very popular, and the abstract pattern of red and blue triangles, as well as the geometric font, is a bold example of Khrushchev-era modernist design that reinterpreted the ideas of Soviet Constructivism. I’m sure you were surprised when you realized that this photo doesn’t show a Soviet vintage jewelry box or babushka’s bag covered with Vologda lace, as you might think. This was truly a progressive radio for its time! 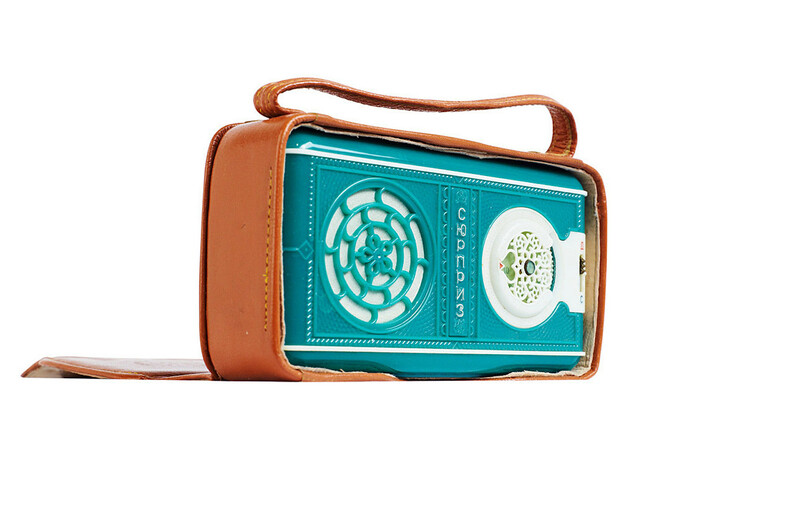 Nicknamed ‘surprise,’ this portable device was produced in 1958-59 by Znamia Truda Factory in Saratov. Don’t know what to do with old boxes? 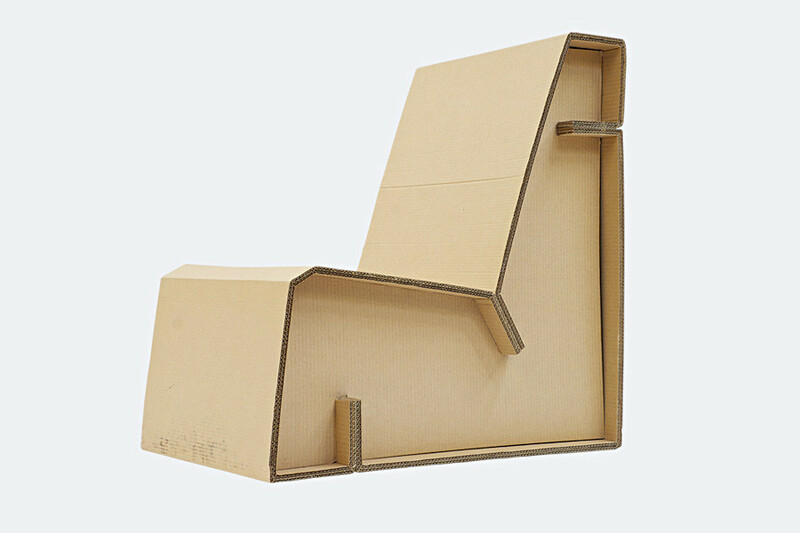 In the 1960s, Soviet designers came up with something brilliant – a cardboard chair. It’s really durable (as everything was in the Soviet Union, except the Soviet Union itself! ), not to mention extremely comfortable. The Moscow Design Museum restored and exhibits some of the chairs. 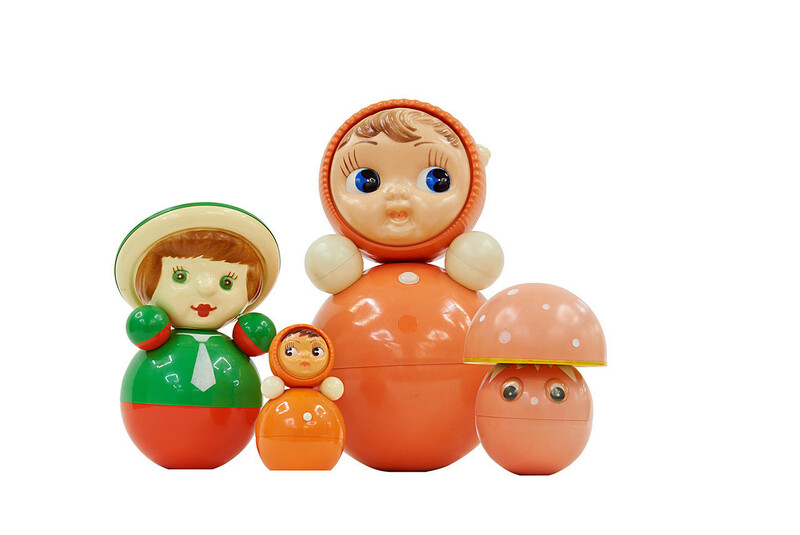 The world famous nevalyashka was designed in 1956 by the Igrushka (Toy) Scientific Research Institute for babies to help them learn to sit. Made of bright plastic, it featured a unique design that returns the toy to its original upright position no matter how hard you try to push it over. The exhibition, “Soviet Design. Red Wealth. 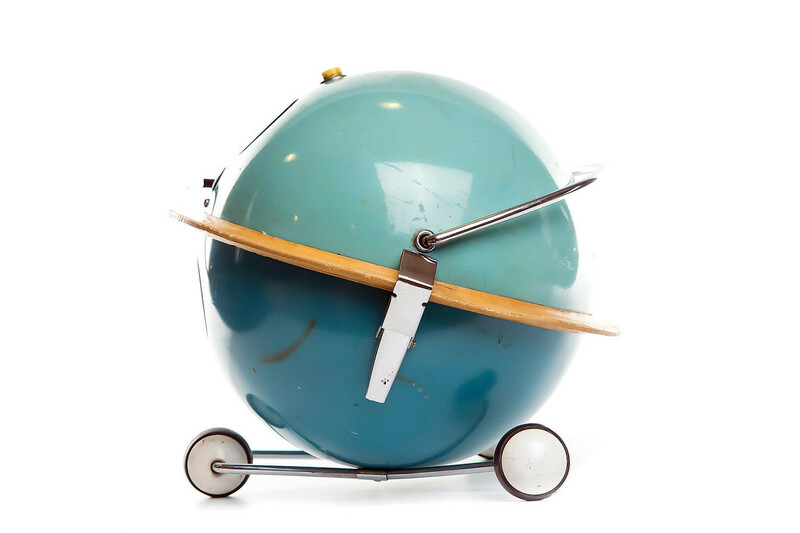 1950-1980,” features items from the Moscow Design Museum and private collections. It will be on display in ADAM – the Brussels Design Museum, Jan. 24 – May 21, 2018. Entranced by Soviet design? Take a look at 10 postwar Soviet industrial innovations that were harbingers of the 21st century.